Fall and winter seem like odd seasons to perform extensive remodeling or renovations on your home. The warm months of spring and summer are the usual seasons to put in a new room, rebuild the deck, change a home’s siding or re-do the roof. However, there are benefits to contracting a home renovation project for autumn or after. No matter what season you pick for your remodeling project, the important steps remain the same. 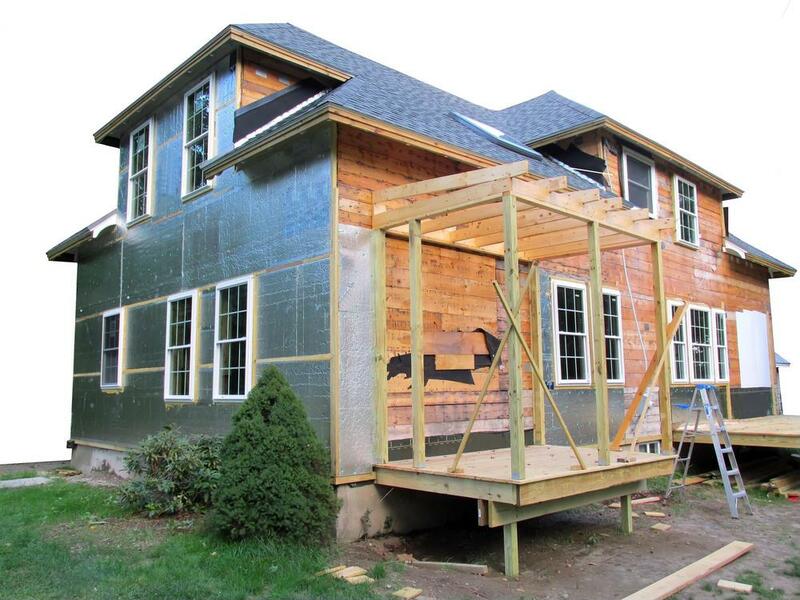 You need to find a common-sense way to fund the work, such as receiving a renovation loan. You should also have a clear idea of the end goal of your project, to ensure everything happens on schedule and budget. The following are a few reasons why you may want to schedule this process for fall or winter. The Washington Post pointed out the potential value of going against trends and scheduling off-season remodeling. The fact that summer is the most popular time to perform construction has caused the market to become more crowded and expensive in warmer months. When fall comes around, contractors’ schedules become lighter and they may be more lenient with price quotes as a result. It pays to inquire about potential discounts for fall or winter work. The major outdoor projects on homes, such as adding a deck or porch, may be more approachable when the temperature drops. As The Post added, you should enter these remodeling jobs with a clear idea of what the end result will be and not add more extra items during the course of the work. This is a way to make sure the reasonable project expectations don’t spiral out of control as the work progresses. As The Spruce pointed out, the key element of scheduling a project in the off-season involves fitting the work in around other elements in your schedule. Entertaining guests at the holidays can eliminate some time from the calendar, and merely keeping up with day-to-day maintenance can feel taxing when it’s icy and snowy outside. This doesn’t mean you shouldn’t renovate, you simply have to choose your projects tactically. The Spruce added that because contractors have more free time in the winter, it may pay to have these professionals have a look at the home and see what type of renovations would suit the house best. A walk-through of the house may reveal interior or exterior projects that will increase comfort, improve appearance, boost resale value or accomplish all three of those goals. Of course, as the homeowner, you have the final say about which area to tackle first. There are plenty of uses for a home renovation loan. Applying for these funds in the fall or winter may make the money stretch further than in warmer seasons, due to professionals’ clearer schedules. Interior projects and exterior projects, large changes and small – all options are on the table. You can also tackle small jobs yourself before bringing contractors in for the heavy work. Whether you plan to sell your home soon or stay for decades, renovation can be a positive option. In the former case, you’ll want the house in ideal condition to raise its market value. In the latter, changes will give you a more comfortable space in which to live.